The unnecessary level of violence by the police recently has resulted in “punishments” that far outweighed the crimes. The most recent violence targeted suspects who faced potentially minor crimes if any and in one case we will never know because the suspect was executed before any trial. Here in New York, in the Garner case, the “crime” of selling single cigarettes is so ridiculous as a cause for any police activity, much less the to apply a life-ending chokehold, that it begs the question of basic common sense humanity in a civil society. Even more egregious is the fact that in neither case did a prosecutor, or a stacked grand jury, choose to let the real underlying case see the light of an actual trial. This verdict underlines for the public, and communities of color in particular, how totally rigged against them this society remains, some fifty years after the I Have A Dream speech. Make no mistake, these are terrible injustices from every perspective, but they are most assuredly injustices against members of a working class. A working class that must often resort to supposedly illegal methods in order to try to buy food or pay the rent. This “illegality” is often a completely subjective term, depending upon whether the perpetrator is poor and non-white, or very white and very wealthy. Jamie Dimon, the CEO of Chase Bank, as well as the heads of every single other law-breaking financial institution involved in the criminal financial collapse of our economic system remain not only free, but somehow are celebrated in the corporate controlled media as smart titans of the financial community. This, even as poor working class folks are still being evicted from their homes, often with many legal guidelines being ignored in the process. The former head of AIG, Ace Greenberg, even had the hubris recently to suggest that the US government’s bailout of his company were not enough. The bailout money was used for AIG’s Ponzi scheme of insuring against loss on the over-valued mortgage bundles that his corrupted rating agency partners in crime passed on as legit. He and the shareholders of AIG were believed they should receive even more billions for their failed thievery, conscience be damned. In this type of grossly unequal environment the rule of law is stretched beyond recognition, depending upon which economic class you come from. The Garner and Brown cases illustrate this particularly well. These were men who likely did not wish to be underemployed, tried making a contribution to society but were beaten before they had a chance. They wanted to participate and, in Eric Garner’s case, found a to bring some extra income into his family in what he believed was harmless work. Are labor unions and all groups working for worker’s rights? You bet they are involved in these protests. Most police do belong to strong and vocal unions, as exhibited by the inflammatory statements of the NYC PBA union President, Pat Lynch. Lynch went from predictably trying to stand up for and protect his members, to rubbing salt into the wounds of a raw and angry city that had actually seen the Garner murder take place on video. A story on Vox.com, quoting from a WNYC report details that only 5% of NYC police officers make over 40% of “resisting arrest” category arrests, many of these are then the subject of lawsuits for excessive use of force. A story from WNYC reveals that Officer Pantaleo was not that unusual. His actions were consistent with high-level directives about policing “high crime” communities. This means that out of some 247 arrests made by Pantaleo over the previous year, only 24 were for felonies. While the vast majority of the arrests were for low-level nuisance crimes, such as selling untaxed cigarettes. We are told that this is policing, to keep the lid on more serious crime. While this may be true, it also looks like it can set the stage for an over-reaction to quality of life crimes. Misdemeanors then become death sentences and over aggressive police officers are not tracked or counseled on how to deal with the non-criminal public. Lynch went on to criticize the Mayor, when the Mayor said he too would worry about Dante coming home late at night and an over eager and scared policeman suddenly deciding Dante was a threat requiring lethal force. Apparently Mr. Lynch took this concern as slander against all his officers. Meanwhile, A 12 year old boy was shot in Cleveland for carrying a TOY GUN by an officer less than three seconds after the officer got out of his car. That same officer had been fired recently from another Police Department with the provision that he never work in law enforcement again. Most officers do their jobs fairly and honestly and do not want to use lethal force, much less any force at all. However, in this country, police are being used against their interests. The police are used to protect the rights and assets of the very few, against the interests of the vast majority. Strikes, protests for a living wage, Walmart protests, it puts police union members, members of the working class, directly against their own interests. They do this because they fear for their own security and safety should they be fired. We need to figure out how to reach these majority of police to bring them to our side, as has been done in other countries and other times. Unions also must keep pointing out and fighting for living wage jobs, equal access and opportunity to decent jobs and the redirection of an economy. The status quo of the economy is so tilted towards inequality that the only possible result is anger, alienation, petty crime to survive and a general drift towards ongoing confrontation that can only end in a divided and repressive police type state. If you think this is a stretch, review some of the footage from all over the country this past week and watch as peaceful demonstrators in NYC, CA and other parts of the country are allowed to protest for a short time, then treated quite brutally by their local police forces when word obviously comes from the top to clean things up. We hope you keep paying attention to this issue, keep demonstrating, keep the pressure on to at least see justice prevail in these cases where trials should have gone forward to let the rule of law have a chance. Anybody who wants to work should be able to find a decent paying job with fair benefits and dignity on the job. Nobody deserves to die at the hands of the police for selling single cigarettes. 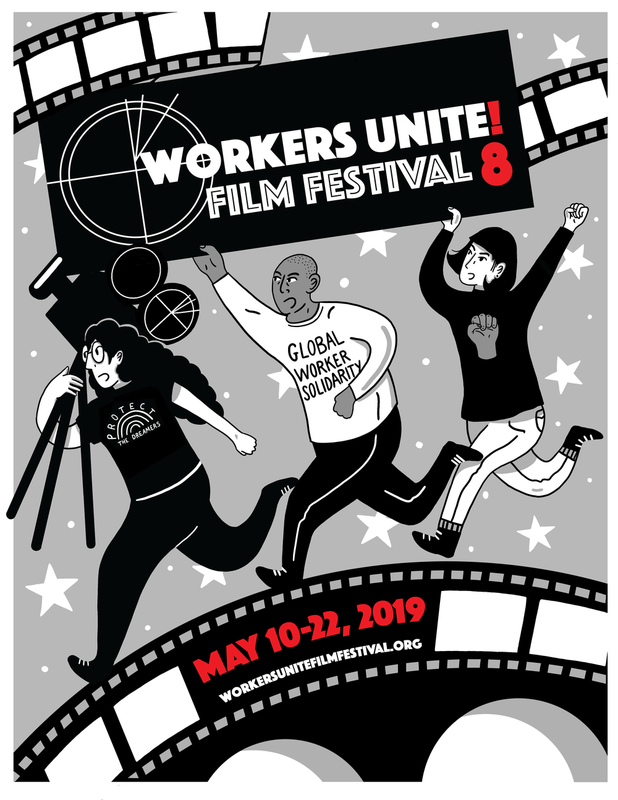 We at the Workers Unite Film Festival are developing forums where the working community can come together to discuss how working issues impact everyday life. This month we are arranging a high school screening of Truth through a Lens. If you have any other ideas for labor film collaborations then let us know.